It almost feels like play is becoming a lost art. The colorful, flashing screens of the ubiquitous electronic devices that have made their way into children’s hands in recent years have a compelling allure. But in terms of impact on a child’s development, there is much to be said for “simple” toys that encourage old-fashioned play and human interaction. According to Dr. Aleeyaa Healey, “Research tells us that the best toys need not be flashy or expensive or come with an app. Simple, in this case, really is better.” Read more. As it turns out, you may never grow too old to enjoy to comfort and security that stuffed animals like Trouble the Dog are known for offering children. A new study suggests that many millennials sleep with teddy bears and other plush toys from childhood. As clinical psychologist Dr. Shefali Tsabary observes, ““A teddy bear’s comfort may have helped us get through a difficult time, so it continues to represent an object that served an important role in our lives.” Read more. For parents concerned about the pace of childhood, simplifying can pay rich dividends in terms of a child’s happiness and creativity. Read more. 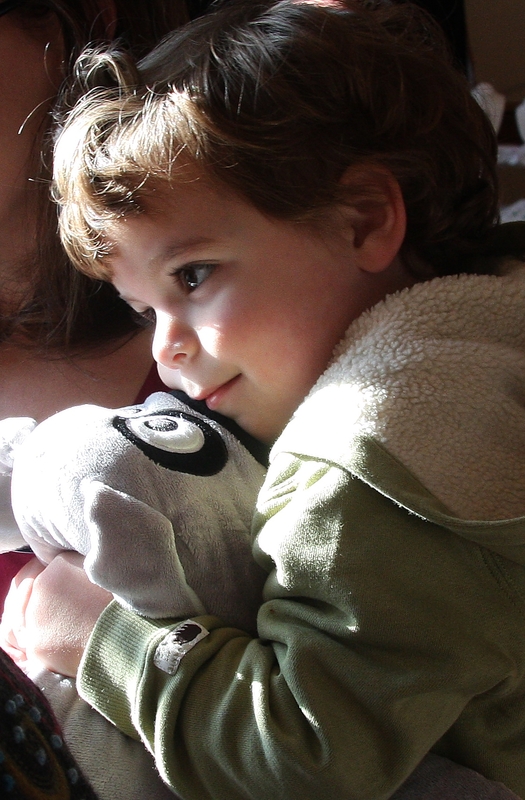 What can stuffed animals teach children? More than we may think, according to one child psychologist. Read more here. 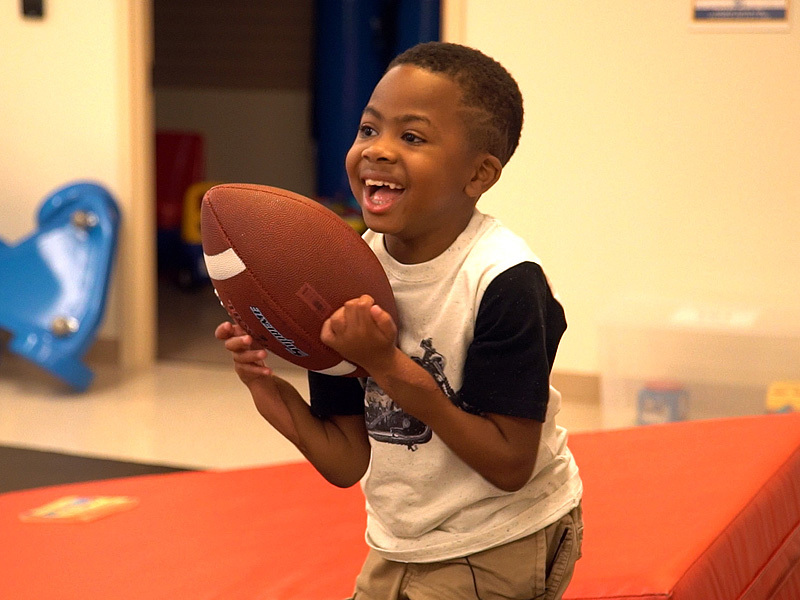 In case you haven’t yet encountered news of Zion Harvey, read his inspiring story on People online. This little boy’s message, “before you quit, try everything,” is an important reminder of the value of hope in troubled times. In our work with Trouble the Dog, he is used as a coping mechanism — a best friend who is always there with a soft ear into which children can safely whisper their troubles and concerns. 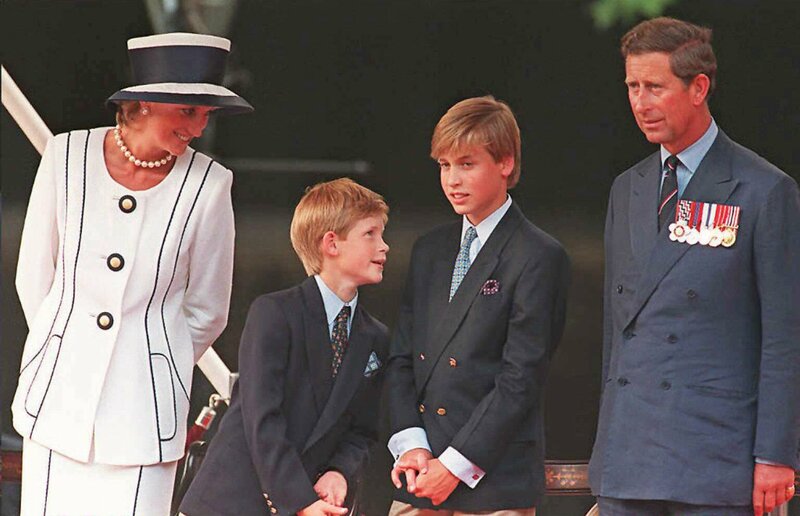 In a recent Newsweek article, Britain’s Prince Harry speaks about the impact that the death of his mother, Diana, Princess of Wales, had on him. Prince Harry is hoping to open lines of communication… as we are with Trouble the Dog. It’s so very important. The story that went viral this week about the three-year-old daughter of Michigan mom Stacy Feeley practicing a lockdown drill by standing on a toilet drives home just how stressed children are today. Burdened with fears that should never have to enter their minds, children need a coping mechanism like Trouble the Dog to help them work through their emotions. Our classroom visits allow us to see that kids today have so much to say. Sometimes they simply need a non-judgmental confidante to “hear” them. 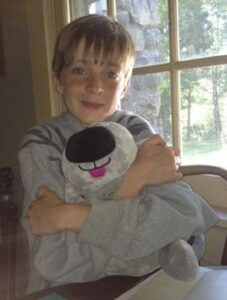 An insightful post by Elizabeth Brotherton-Bunch of the Alliance for American Manufacturing tells the Trouble story, emphasizing our commitment to having the Trouble plush made right here in the USA! May is National Foster Care Month and the statistics are staggering. According to the Department of Health & Human Services, on September 30, 2014, there were an estimated 415,129 children in foster care. It’s probably safe to assume these numbers have continued to grow over the past two years. We can all do our part to help vulnerable children going through such difficult times. For our part, we have launched an initiative that will allow us, with corporate and community assistance, to put Trouble the Dog into the arms of as many of foster children as we possibly can. Trouble is a proven coping mechanism who is “on call” 24/7 whenever a child needs the reassurance that a huggable friend can offer. We recently had the opportunity to speak with a foster mother who says that she can still hear the sobs of a very young child she was fostering. She is enthusiastic about our initiative and said she would have given anything to have been able to put Trouble into the arms of the heartbroken child and let him know that Trouble was his to confide in and keep for his very own. Trouble the Dog® partnered with IDEXX Laboratories, a leader in pet healthcare innovation, to build a dynamic corporate team building program for sales reps with an important community service component. IDEXX dedicated a donation to help children attending Camp Phoenix, an innovative camp offering programs for pediatric burn survivors. Sales reps from each region gathered in Nashville, TN to hear about Trouble the Dog’s mission of hope for kids. 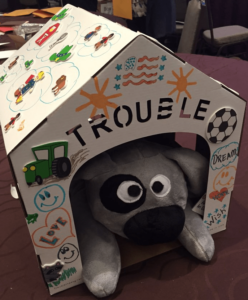 Employees decorated Trouble doghouses with messages of love and hope which were packaged with Trouble the Dog plush toys and storybooks and delivered to children attending Camp Phoenix. Camp Phoenix is a medical student-run community program for kids who have suffered burns. The camp allows kids and their siblings to increase their confidence and form friendships with other burn victims. During the team-building week in Nashville, IDEXX also donated 200 Trouble the Dog plush comfort toys, story books and doghouses to children and families receiving services at Monroe Carell Jr. Children’s Hospital at Vanderbilt. This is one example of the team-building programs we offer for corporations and large groups designed to strengthen team camaraderie and boost team spirit. Topping the experience off with an engaging community service component like the one chosen by IDEXX always adds meaning and value for our clients. For more information about building a program that fits your company’s needs, please call 781-631-0887 or get in touch via email. Trouble the Dog Copyright 2007-2019 Larkin, Ltd.